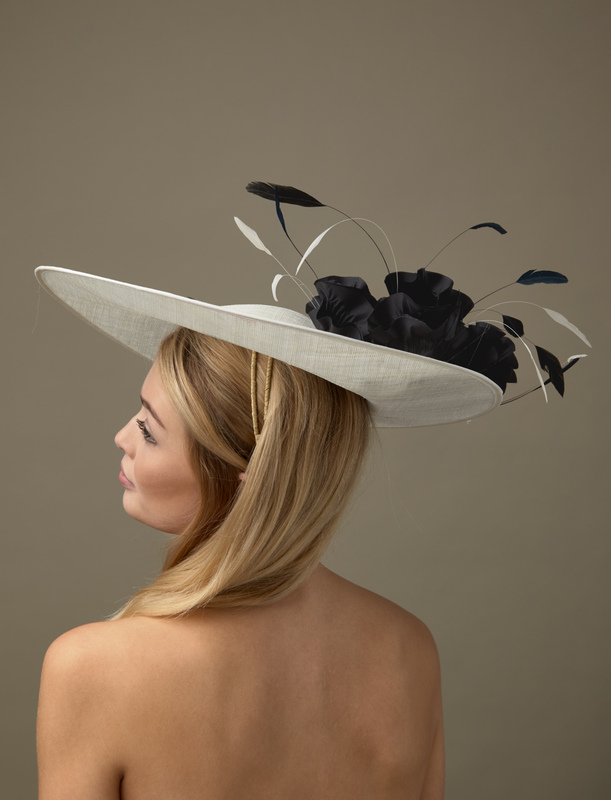 The Colada dish hat comprises a large sinamay dish base with upturned side. 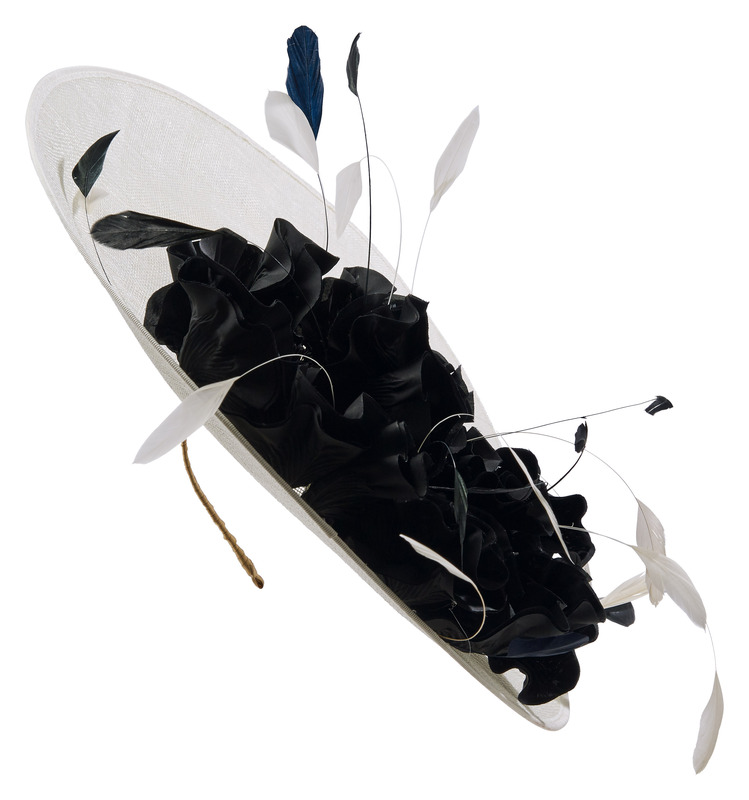 The dish is embellished with a row of silk flowers and finished off with some delicate coque feathers. 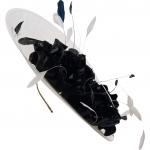 This hat comes on a headband which will be covered to blend seamlessly with your hair colour. 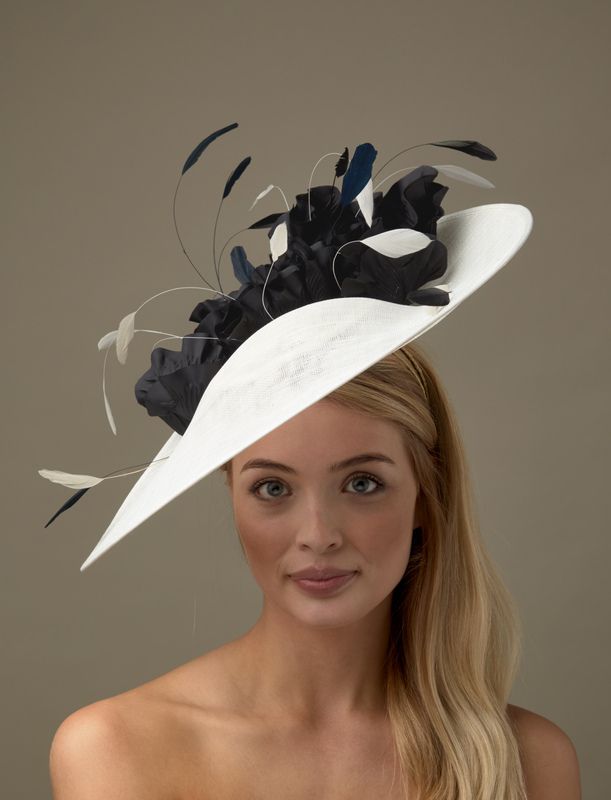 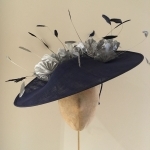 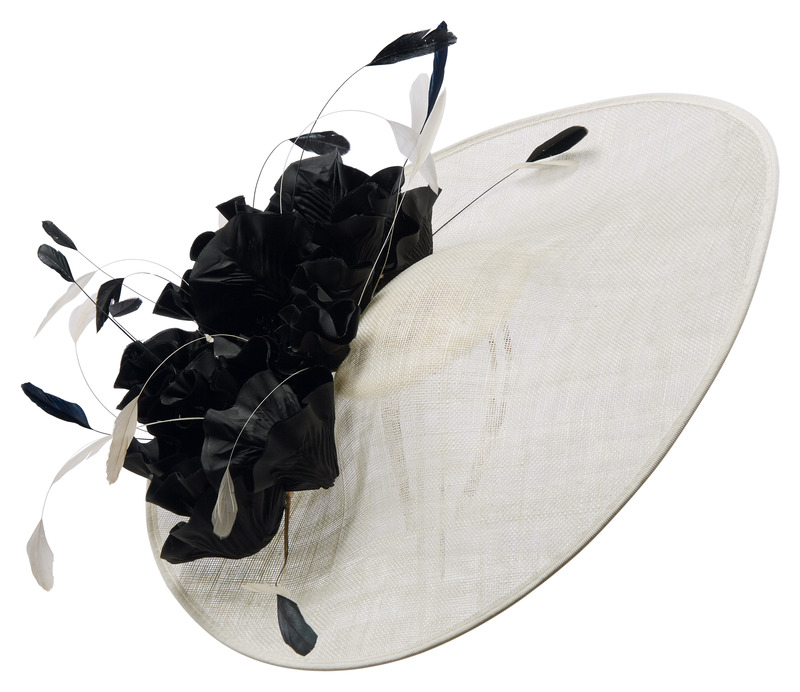 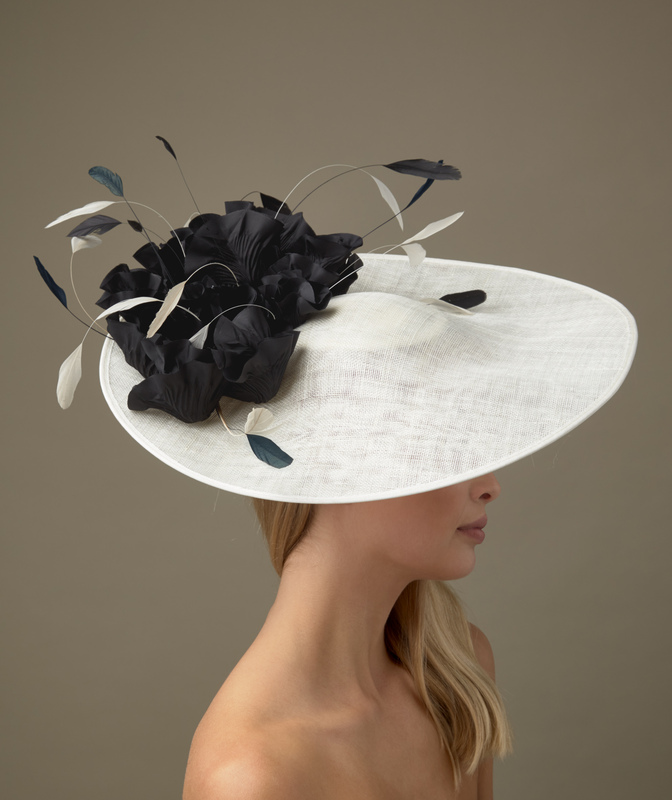 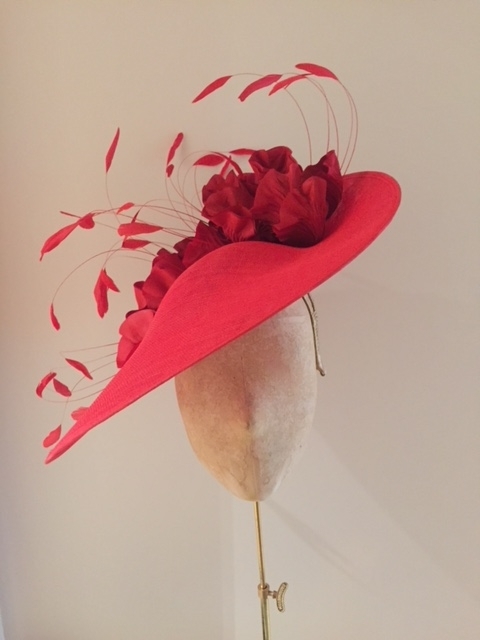 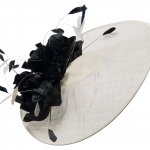 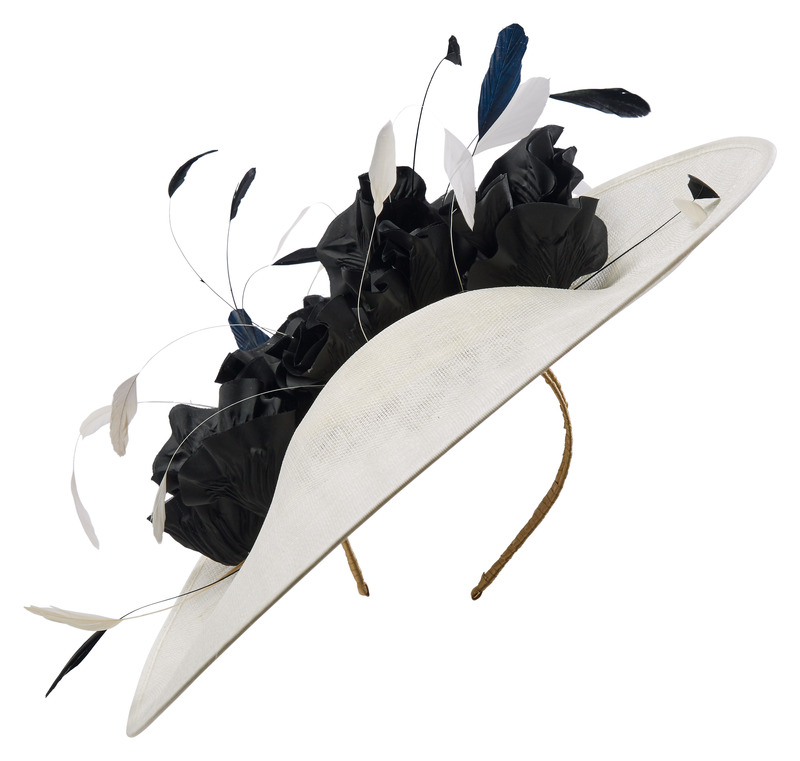 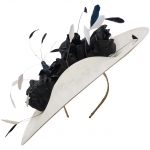 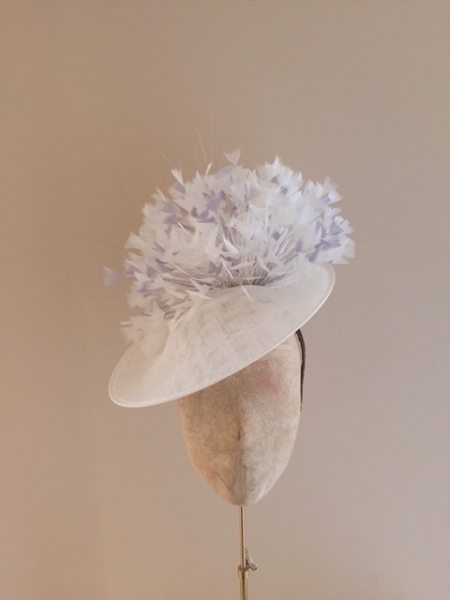 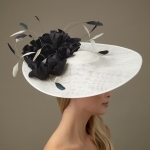 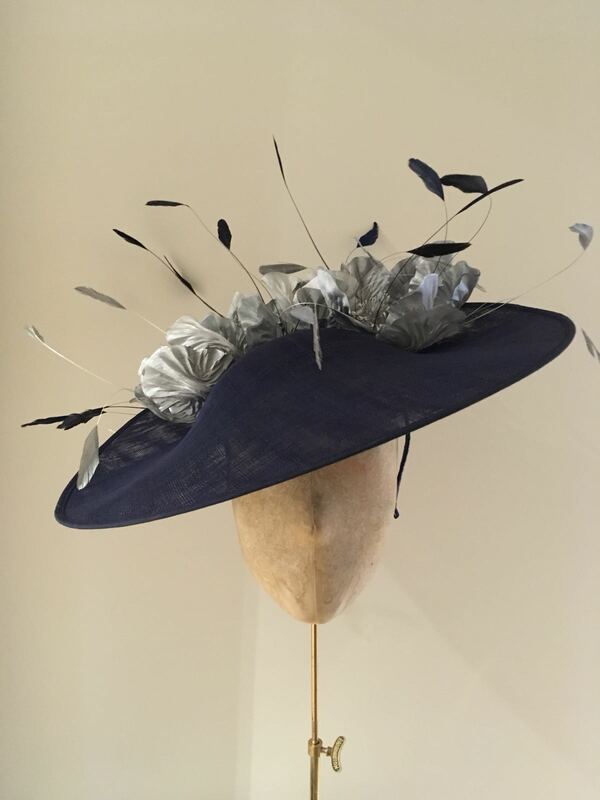 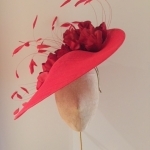 The Colada dish hat is a real show stopper and will wow at Ascot as well as on any mother of the bride/groom or wedding guest alike.